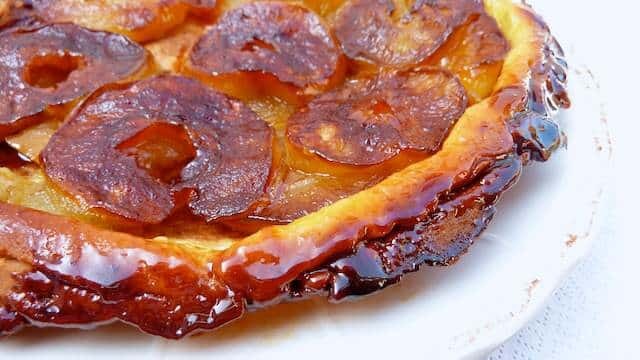 Tarte Tatin Recipe (French Apple Tart) | Simple. Tasty. Good. I always thought a classic French tarte tatin recipe would be pretty difficult to make so it was pushed aside for months on my recipes-to-make list. Now I find myself in charge of making an apple dessert since we invite a Calvados lover over to our place for dinner next week. Being a cautious home cook I made a first trial yesterday. My biggest nightmare would be to put a chewy pastry filled with mushy apple sauce on the table after a fantastic 3-course menu. Looking for a hearty tatin recipe? Then also check out my tomato tatin! A classic French tarte tatin recipe is much easier than you think! 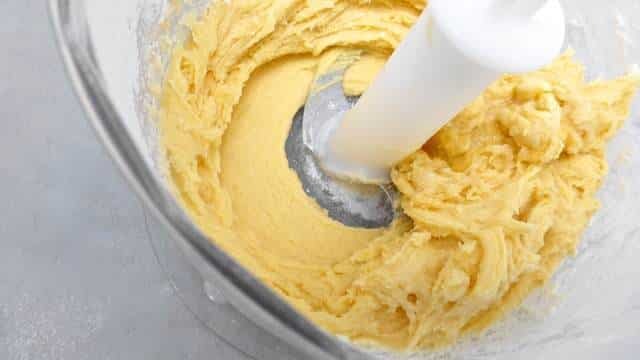 Transfer the pastry flour, egg, 1 oz (28 g) of caster sugar and 2,5 oz (75 g) of butter to a blender. Pulse until you get a firm dough. Then transfer it to a floured surface and knead for 2 minutes until soft. 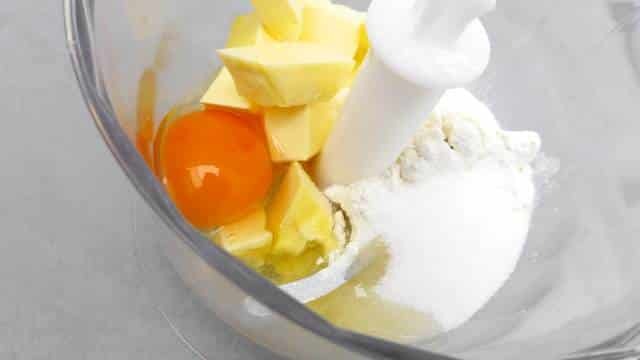 Shape the smooth dough into a ball and wrap it in cling film. Let the dough rest at least 30 minutes in the fridge. In the meantime peel the apples and cut them in half. Remove the inside. 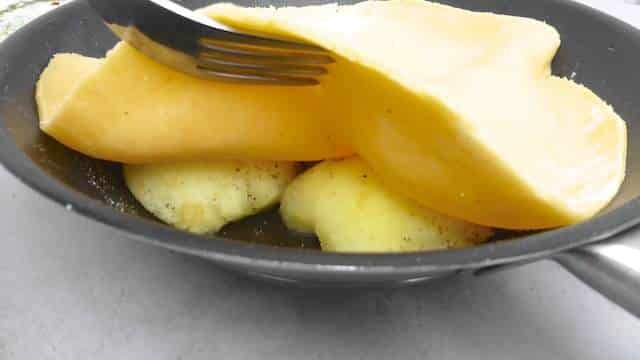 Melt 1 oz (28 g) of butter in a pan over low heat. Stir in 2 oz (55 g) of caster sugar. Then place the peeled apples cut side down in the pan. Turn the heat higher. 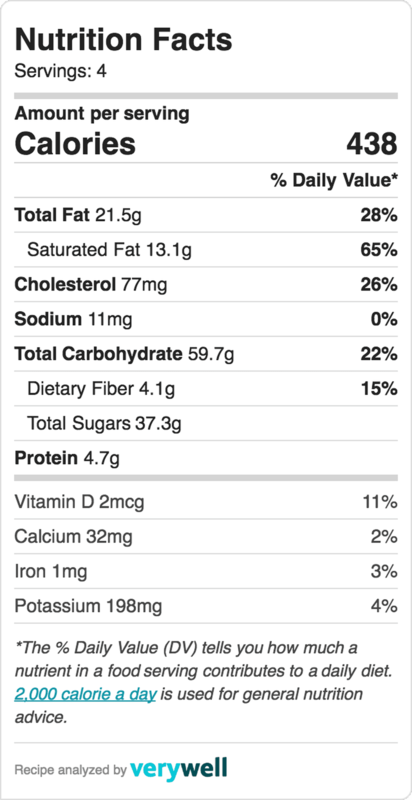 Let the apples cook for 15 minutes. Shake the pan regularly to avoid burning but don't stir the apples. 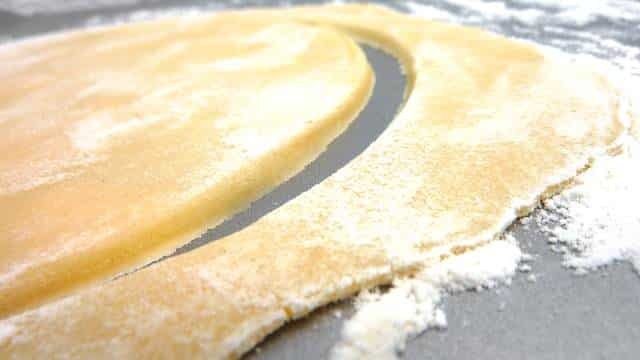 Roll out the chilled dough in a circle large enough to cover the pan. Take the pan with apples off the heat. Then place the dough on top. 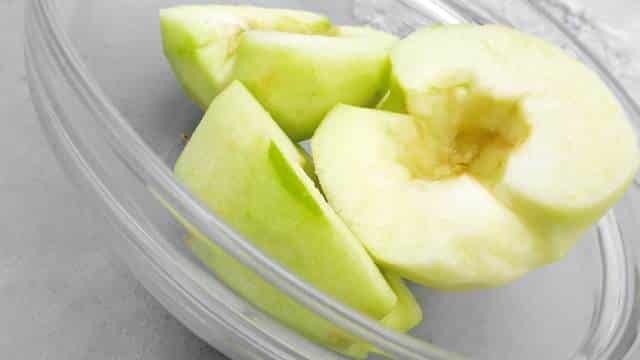 Gently tuck the sides in and press to cover the apples fully. Bake the tatin in a preheated oven at 392°F (200°C) for about 30 minutes until light brown. Cover with tinfoil if it browns too fast. Carefully remove the hot pan from the oven when ready. Place a plate on top and turn the pan over fast. Let the tatin cool a bit. Serve lukewarm. 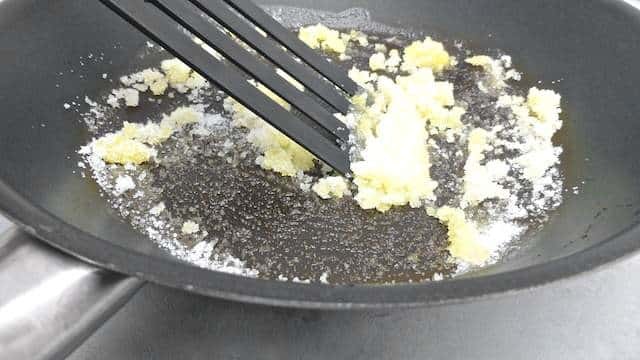 What sort of a pan is used for this? 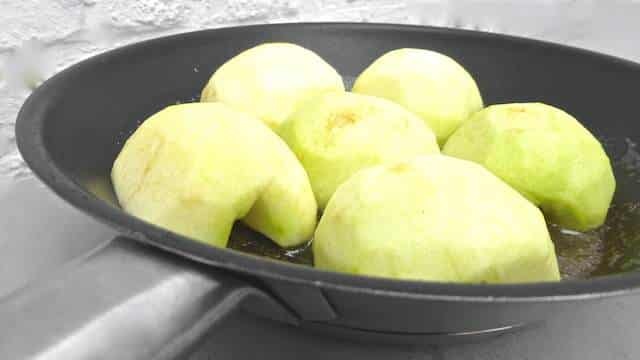 It appears the apples are cooked in this pan on the stove top and then cooked in the same pan.